Thanks to Debbie Tomkies, we now have a brand new p/hop pattern! 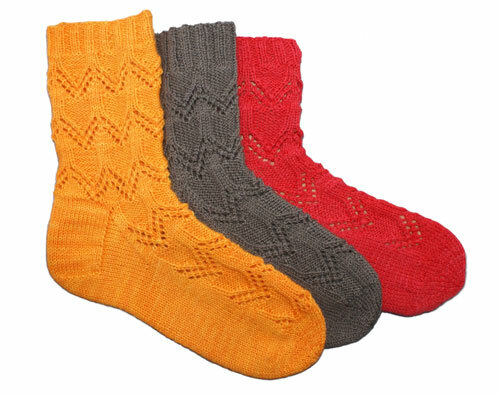 The Chevron De Paix Socks are a pair of cuff-down socks with delicate lacy chevrons. To see what others have made from this pattern, please visit the Chevron De Paix Socks pattern page on Ravelry.